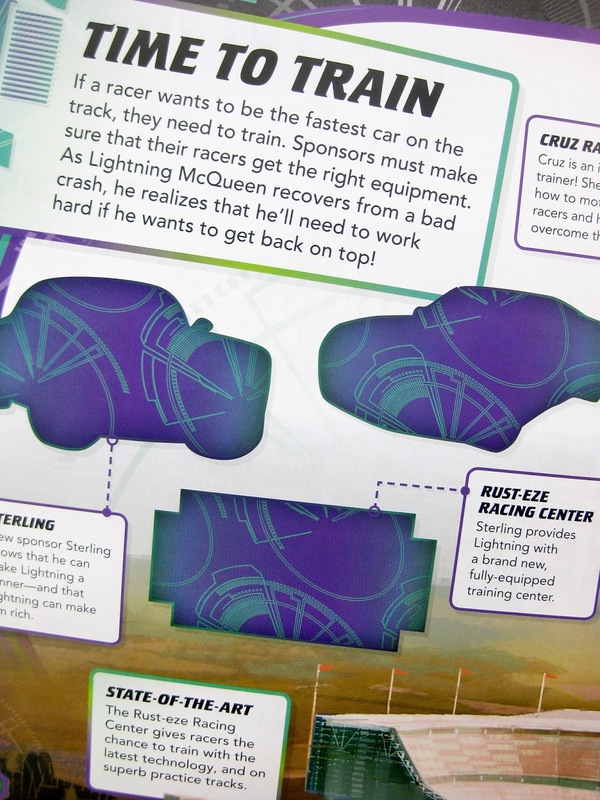 Start your engines. 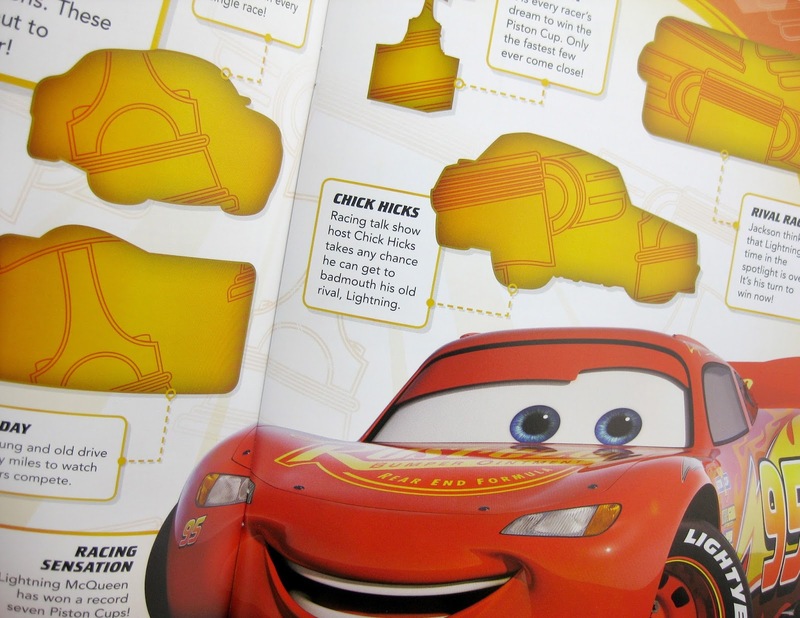 Today I'm taking a look inside the Cars 3 "Ultimate Sticker Book" by DK publishing (released last month on May 2nd)! 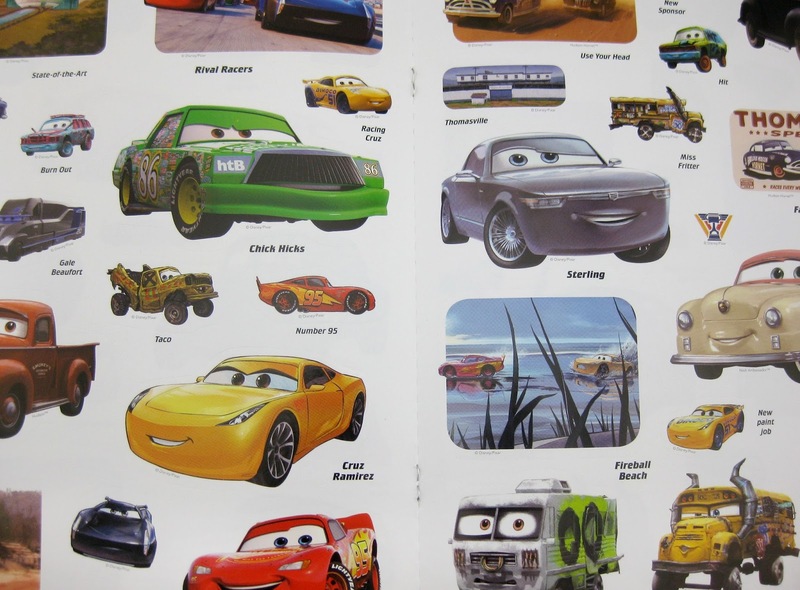 This particular series of sticker books has been going on for many years now and I always have to pick up the latest Pixar related one before each new film hits. They're just fun and classic books to me and I look forward to busting them out for my future kids to play with one day. Who doesn't love a good batch of stickers? This softcover activity book has more than 60 stickers (63 to be exact, from what I counted) included. 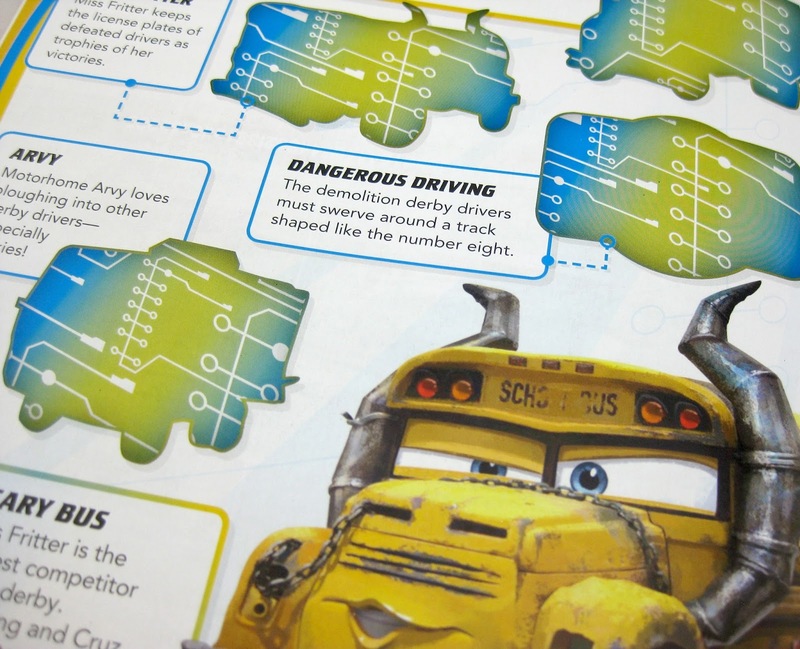 There are four pages of stickers and seven pages of silhouette spaces with captions (if you've done these you know how it goes; kids simply place the stickers onto the silhouettes that match each one's shape and description). It's a great, hands on way to learn more about the characters and locations in the film! 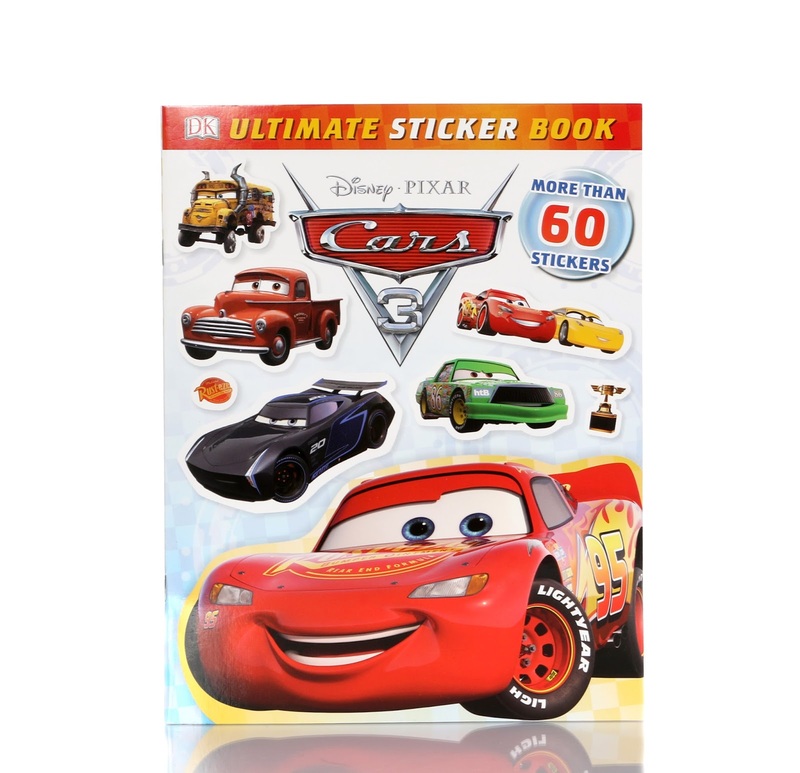 This is a pretty standard release that follows the exact same formula/style as all the other Ultimate Sticker Books, but it's cute and enjoyable nonetheless. If you've ever had any of these books before then you'll know exactly what to expect. It's short, it's sweet, it's colorful and it's easy to use. 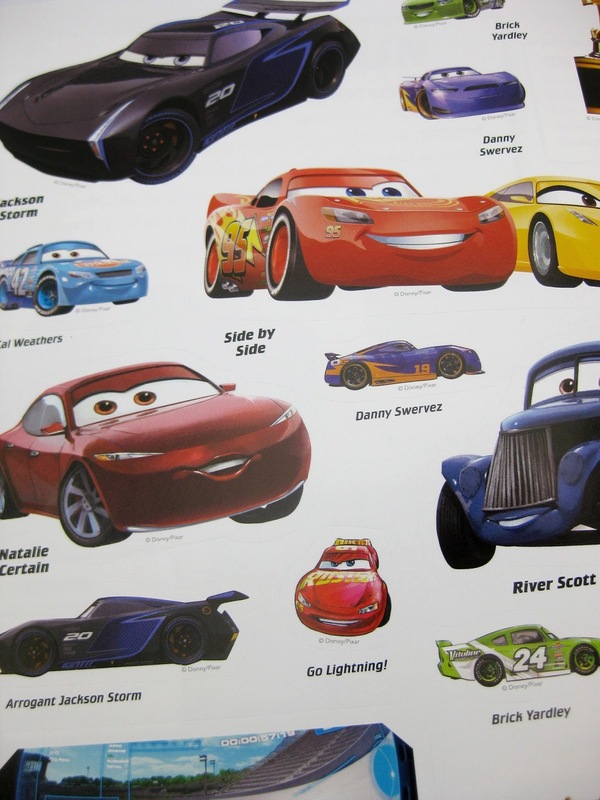 Perfect to entertain any little Cars fan! 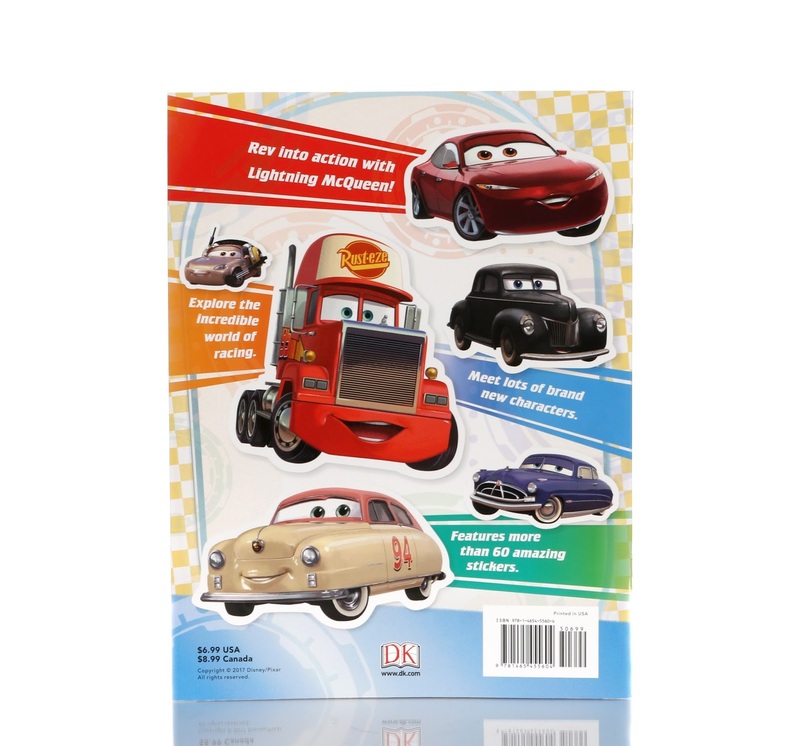 Pick this up wherever Cars 3 books are sold or follow the direct link to it on Amazon below. Retail price is $6.99.